Can you imagine living in a world where you you have plenty of time to craft, you actually finish all of your projects, and your craft supplies are always nicely organized? I know, it sounds too good to be true, doesn’t it? But actually, these things are all possible, even for those who prefer to craft spontaneously! It all comes down to creating healthy crafting habits! It’s true what they say–we are creatures of habit, and forming the right kinds of habits can set us up for success when it comes to things like our careers and relationships. But have you ever considered your crafting habits? As crafters, it’s important to form good habits to help keep our creative minds happy and healthy (and so that we actually finish a project every now and then). It’s so easy to slip into crafting habits that aren’t always helpful, such as putting off projects, never making time to craft, and storing craft supplies in disarray. But these are actually habits that can be unlearned and replaced with new, healthy habits. In time, these new habits can become second nature and set us up for crafting success for years to come! 1. Write down and record your brilliant craft ideas. I find inspiration for my craft ideas at the oddest times– when I’m driving, going for a run, or in the shower– talk about inconvenient! So I try to keep them in my head until I have a moment to record and save them. I always have my phone nearby, so as soon as I can, I put my ideas in a list in my phone using the free Evernote app. This way the next time I’m looking for ideas or just trying to remember what my idea was, I can check my phone and have my list right there waiting for me. Of course your list doesn’t have to be digital if you prefer going the pen and paper route. Just make sure to always keep your list nearby so you can record your ideas the minute inspiration strikes! 2. Make time to craft. So often we’re overwhelmed by everything life throws at us that we forget to even make time to craft. We have all these ideas, and often times even buy the tools and supplies, but we never follow through with making the item because we just don’t have time. That’s why it’s helpful to get in the habit of scheduling some time to craft and create on your calendar. We keep everything else on our calendars, so why not time to craft? If it’s something you’ve marked on your calendar, there’s a better chance you’ll make a conscious effort to follow through and actually make some time for your crafting. 3. 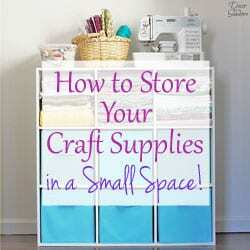 Organize your craft supplies. 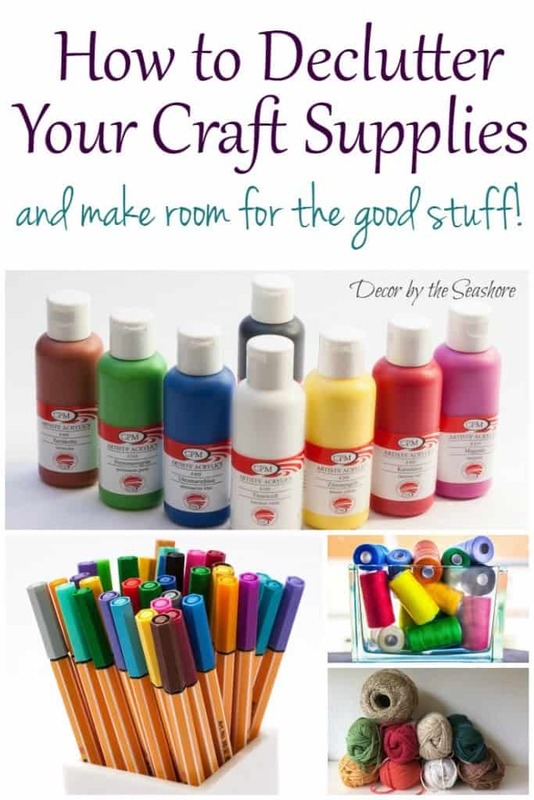 It’s so easy to let those craft supplies become an organized mess. 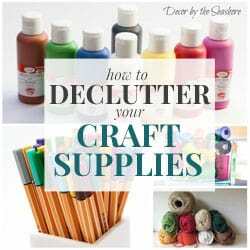 But just taking a little time to declutter and organize your craft supplies is a huge help when it comes to crafting. When our supplies are unorganized, we can never find what we’re looking for, and half the time we don’t even know what supplies we already have. 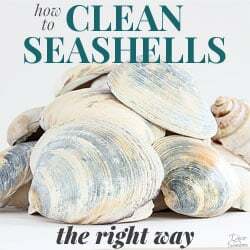 So this leads to a trip to the store to spend money on something we probably already have, and then when we bring it home we add it to the clutter of our craft stash. It’s so easy to get caught in this cycle. 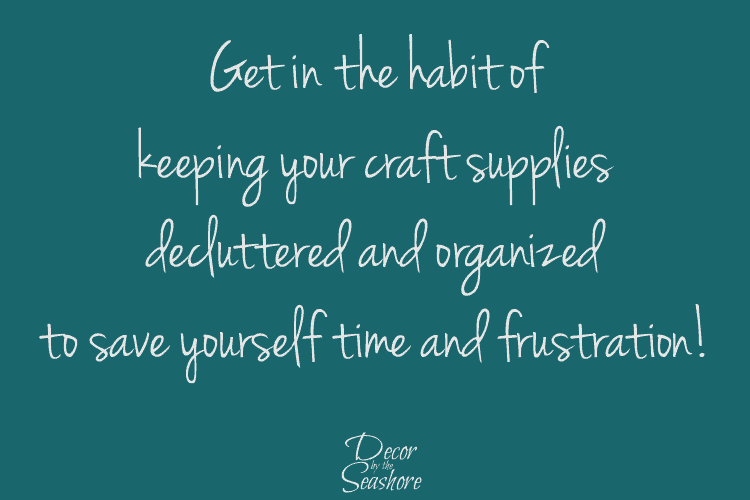 Get in the habit of keeping your craft supplies decluttered and organized, and you’ll save yourself a lot of time and frustration! 4. Finish the projects you start. Let’s be honest, we all have at least one or two (or more!) half-finished craft projects sitting around. It’s so easy to begin a project and then get side tracked and before we know it, we have a bunch of projects in various stages of completion while we wait for the time or inspiration to finish them. When we start making it a habit to actually complete our craft projects, we end up with a finished product to show for our efforts, which can be a huge boost of motivation and satisfaction in the crafting world! 5. Use the tools and supplies you have. 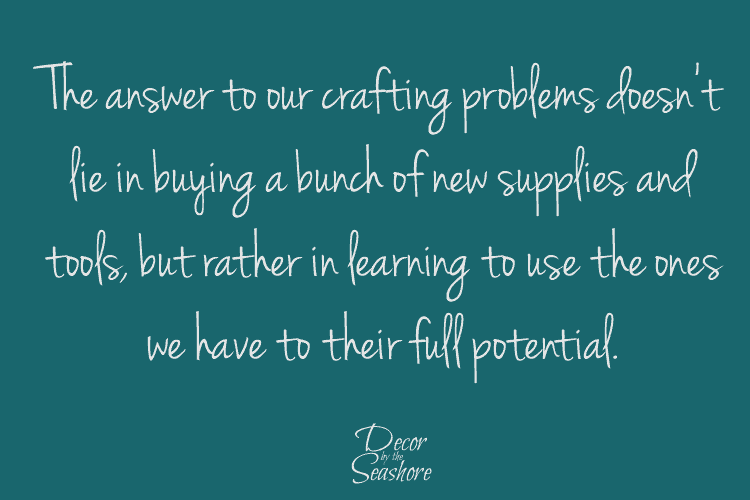 Often times the answer to our crafting dilemmas doesn’t lie in buying a bunch of new supplies and tools, but rather in using the ones that we already have to their full potential. For example, did you know you could create fake wood grain with a glue gun and some paint? 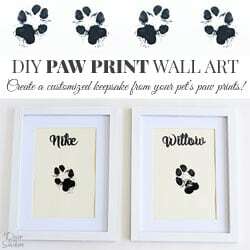 There are some amazing projects that you can create with only the most basic supplies. 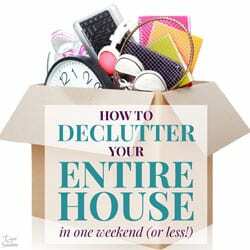 So before you go shopping at the store, check out how you might use what you already have. 6. Learn new skills and techniques. Learning new skills and techniques can really help you up your crafting game. For example, hand lettering is all the rage right now, and there are so many expensive gadgets that will do it for you, but did you know it’s actually really simple to learn how to hand letter yourself? Learning new skills can help you improve your crafts and make all kinds of new and fun creations. If there’s something you’ve always wished you could do, then learn how to do it! Look for a class at a local craft store, search online for tutorials, or you can even take craft classes online. There’s no end to the wealth of knowledge out there! When we adopt the right kind of crafting habits, it’s amazing what kind of results we can end up with. Often it only takes a little change to create a snowball effect. I know when I have a lot of half-finished projects sitting around, sometimes just finishing one project gives me the motivation I need, and I’m able to use that momentum to complete a bunch of projects. That’s often enough to help me get into the habit of actually finishing the projects I’ve started. I’d love for you to choose one or two crafting habits from this list to focus on for the next few weeks. Really make an effort to routinely do those items. I think you’ll be amazed at what kind of progress you make with your crafting! I’d love to hear what items you’ll be working on in the comments. If you found this post helpful, feel free to share it with friends and family and on social media. And don’t forget to sign up for my newsletter below for a weekly dose of crafty fun! These are really helpful habits Celeste. The one about finding time is especially hard for me. But when it comes to the wire I have to produce so I make unexpected crafts. I don’t have a specific time. And I totally agree about learning new skills, there is so much information out there and so many talented bloggers whom we can learn from. I think not being able to find time is one we all struggle with, Mary! Though if you’ve got a deadline, there’s nothing quite like that last minute burst of inspiration! I also love how easy it is to learn new skills and crafts thanks to all the wonderful bloggers out there who share their knowledge! 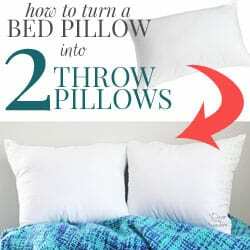 Great tips Celeste. I cannot count the number of times I have purchased something at my local craft store only to discover that I already have that item hidden away in my chaotic craft clutter. Argh. Organizing my crafts is definitely number one on my to-do list! I have definitely been there, Jelica! 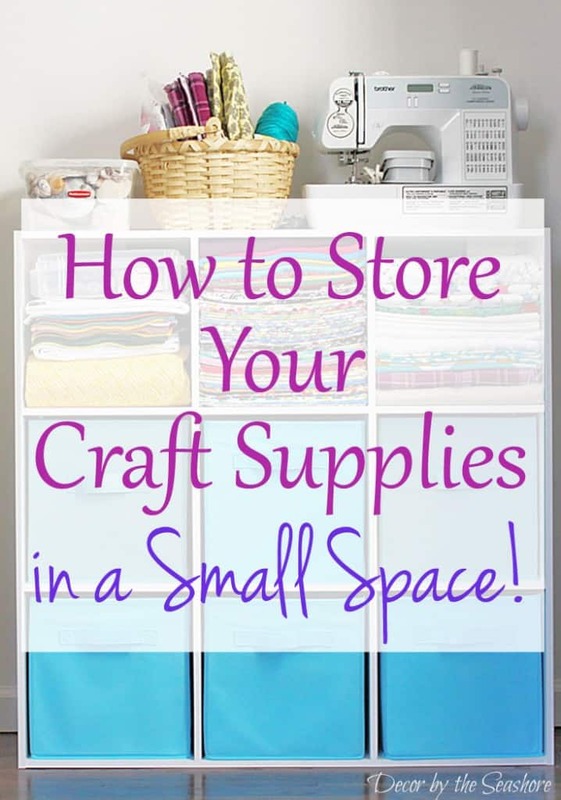 I’ve found keeping those craft supplies organized is the best way to overcome that! If you can set aside even a small amount of time every day to declutter and organize your craft supplies, it will definitely pay off! 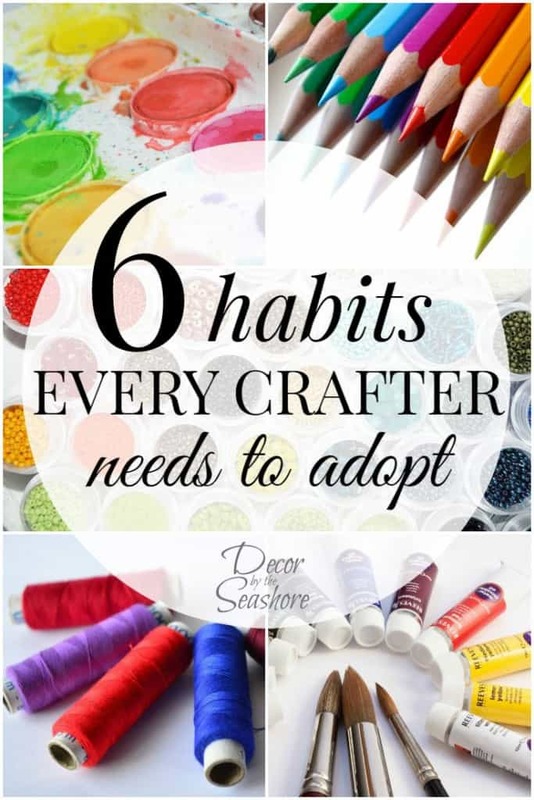 All great habits to have as a crafter, Celeste, I completely agree! My most important one is to have an organized craft space where I can find everything I need! Pinned! Thanks, Katrin! 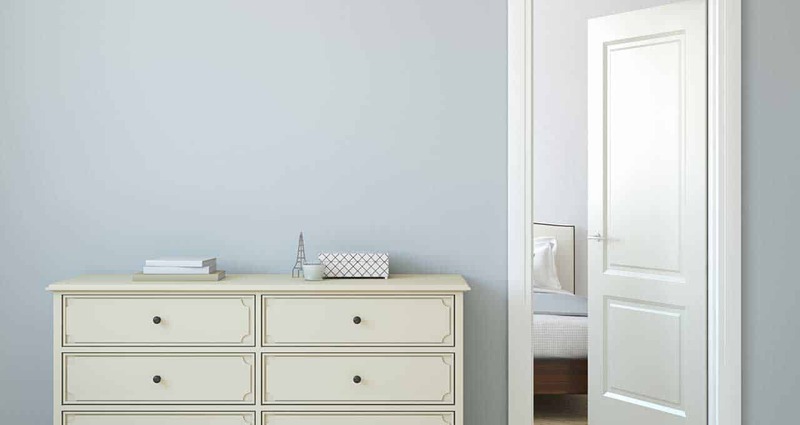 Keeping your craft space organized is really one of the best habits you can have as a crafter! If there’s one habit I need to adopt, it’s setting aside time to craft. I so many sewing projects right now, that it needs to happen! 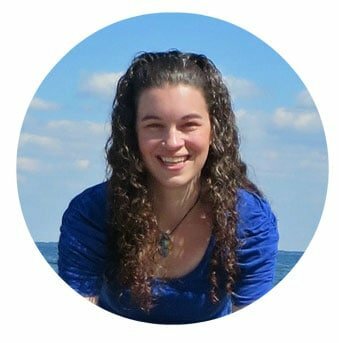 And I completely agree with you about organization–decluttering helps you feel less overwhelmed and your projects more manageable. I think finding time to craft can be the hardest part of crafting, Brooke! We’re always so busy and everything else seems more important. If you can get into the habit of blocking off some time for crafting and sticking to it, you’ll definitely be able to get some of those sewing projects knocked out! 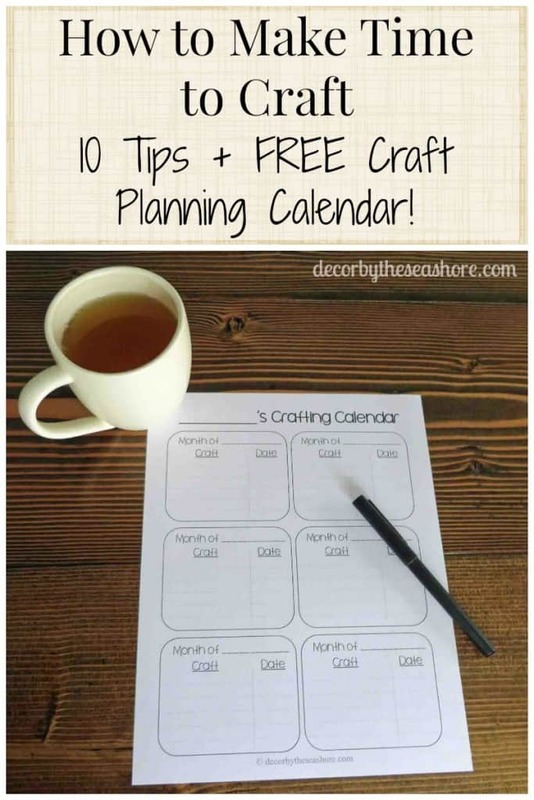 Very helpful tips for crafters! Thank you! Mine is – set aside time – the thing I try to do every day! Thanks, Olga! Setting aside time is difficult, but so important to make sure you get those projects finished! Happy crafting! These are all such great ideas. Thanks so much for sharing! Totally agree! My biggest one os finishing what I start – sometimes I get so excited about the NEXT project that I abandon the one I’m currently working on. Oops. Lol Morgan, I totally understand! It happens to the best of us. It’s hard to keep on task when your mind is just so full of so many creative ideas! I am so guilty of not finishing my projects, and of overbuying. Though I love the idea of keeping a log of all the ideas that pop in my head. So many ideas get lost! Very true, Leslie! So often I find that if I don’t record those spur-of-the-moment ideas, I’ll forget them a few minutes later! Muchas gracias por compartir Celeste ! It makes sense but sometimes we just don’t see it!